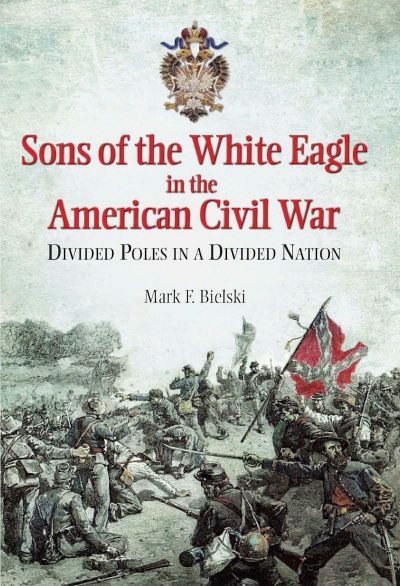 Sons of the White Eagle in the American Civil War: Divided Poles in a Divided Nation describes the fascinating story of nine transplanted Poles who participated in the Civil War. They span three generations and are connected by culture, nationality and adherence to their principles and ideals. The common thread that runs through their lives—the Polish White Eagle—is that they came from a country that had basically disintegrated at the end of the previous century, yet they carried the concepts of freedom they inherited from their forefathers to the New World to which they immigrated. Once in America the pre-war political feuds, ferocious ensuing battles, captures, prison camp escapes and privations of war—often in the words of the soldiers themselves—are fully described. More highly trained in warfare than their American brethren—and certainly more inured to struggles for nationhood—the Poles made a more significant contribution to Civil war combat than is usually described. The first group had fought in the 1830 war for freedom from the Russian Empire. The European revolutionary struggles of the 1840’s molded the next generation. The two of the youngest generation came of age just as the Civil War began, entered military service as enlisted men and finished as officers. Of the group, four sided with the North and four with the South, and the other began in the Confederate cavalry and finished fighting for the Union side. All but one came from aristocratic backgrounds. In a war commonly categorized as a “brother against brother” struggle between two American regions, history has not devoted a great deal of attention to the participation of Poles, and foreigners in general. These men fought with a belief in European democratic liberalism. Whether for the North to keep a Union together or to form a new nation from the Southern states, they held to their ideals, and in America’s own greatest conflict continued to fight for their beliefs.